Tian Tian the panda, also known as Sweetie, may be ready to mate with Yang Guang as early as next week on Tuesday 3rd or Wednesday 4th April. Edinburgh Zoo and their team of experts have identified an increase in Tian Tian’s oestrogen and a decrease in her progesterone. Female pandas only ovulate once a year, and there is only a 36 hour period in which a female panda can fall pregnant. 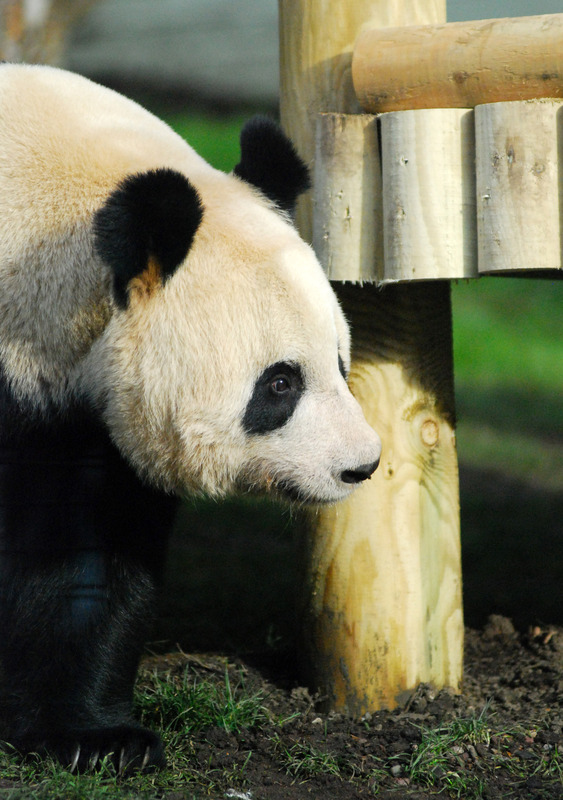 The two pandas at Edinburgh Zoo will be introduced to each other on Tuesday for 15 minutes at at time. They will probably be put together three times on the first date of Tian Tian being in oestrus. If natural mating does not occur on the first day of oestrus, the zoo may consider the option of artificial insemination. However, expert keepers will be keeping an eye on the two, as pandas often tend to fight after mating or instead of mating. Panda mating season is from March to May. A female panda may be in heat from two to seven days. Pandas reach reproductive maturity at the age of seven years which lasts until they are 20 years old. A female panda attracts a mate by rubbing against trees and urinating which leaves a scent which grabs the attention of male pandas, as well as by bleating calls. The male panda leaves the female panda after mating and has nothing to do with the raising of the cub. Pandas can have between one to two cubs at a time, but because newborn pandas require a high amount of care the mother will usually reject one of the cubs. 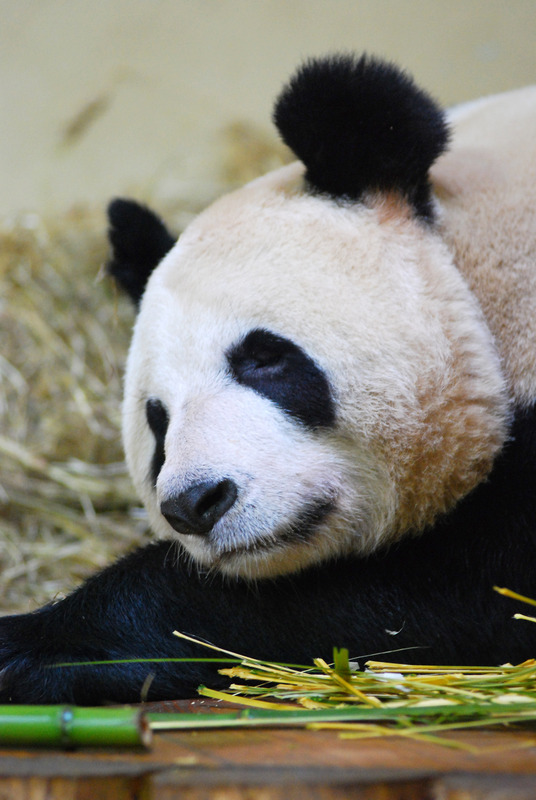 Posted in Conservation, Features, News in Brief and tagged Edinburgh Zoo, panda mating, Pandas, tian tian, tian tian in mood for love, yang guang. Bookmark the permalink.